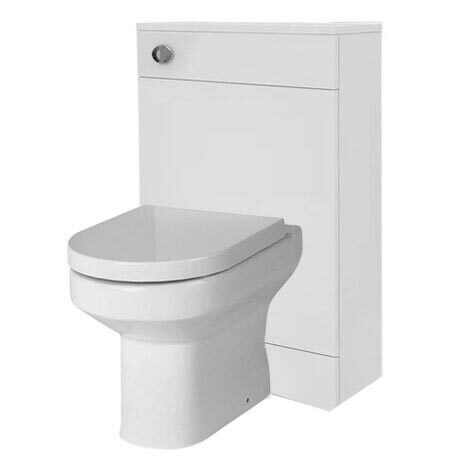 A stylish clean and contemporary white gloss back to wall WC unit, perfect for any bathroom. Comes with a dual flush concealed WC cistern and harmony ceramic toilet pan with soft close seat. The unit has a removable front panel which can be drilled for right or left hand front flush, with its simple contemporary design this back to wall unit is ideal for renewing the style of your bathroom or cloakroom.